In Native American > Native American Baskets > Show & Tell. 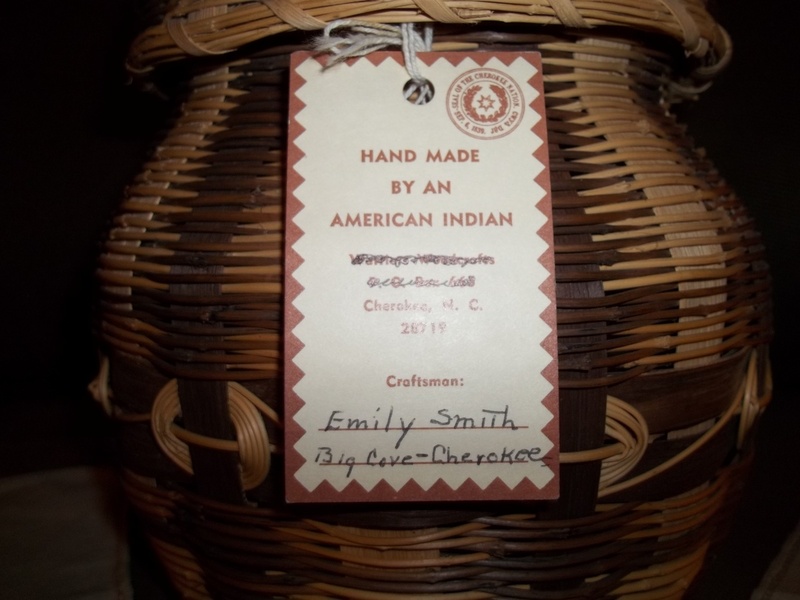 I got this on Ebay, it is a basket made by Emily Smith from Big Cove in Cherokee NC. Emily Smith is a master basket maker known for her White Oak baskets and that is what she makes usually. But every once in a while, she weaves baskets like this one here, and that is why I got it. 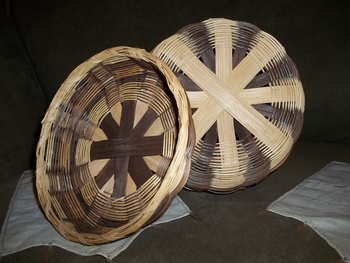 Emily credits famed basket maker Lottie Stamper for teaching her how to make baskets, and she made her first basket at the age of 8 years old. 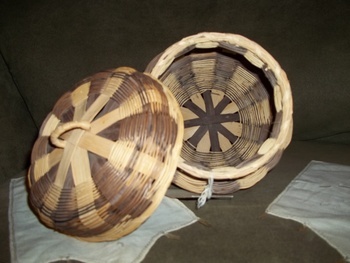 It is rare to find one of this type basket that is made by her and it has the fancy "O" weave at the center of the basket. This is a perfect example, standing 8 1/2 inches high. It is 8 inches in diameter at the middle part, and 6 1/2 diameter at the top and bottom. It was made sometime around 1940-1950. 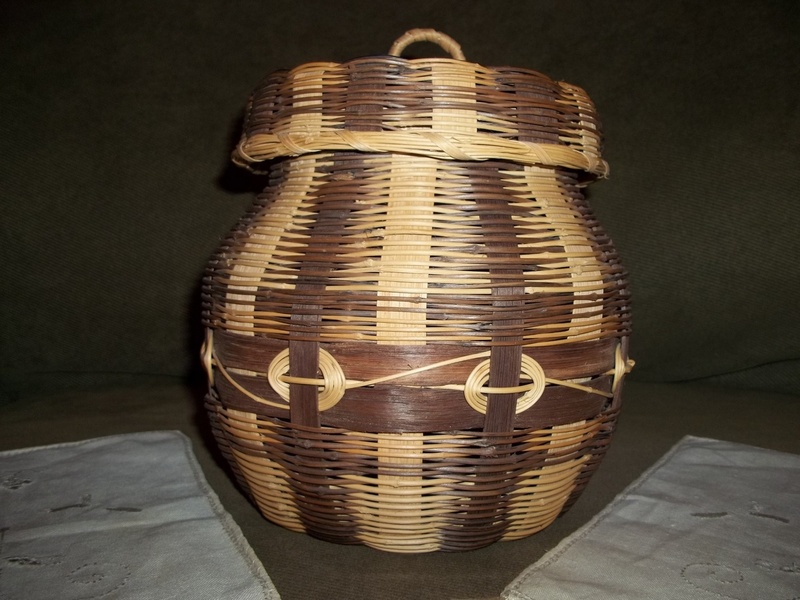 Mrs. Smith uses boiled Walnuts and Bloodroot to naturally dye her materials for basket making, and this example is perfect with no damage. And she, with help from her daughter, travels all over to teach the craft of basket making. In this way, she works to keep the artistry alive and gets new people interested in basket making. If you want to know more about her, you can search "Emily Smith Cherokee basket maker". There are many websites that talk about her and also other master basket makers.